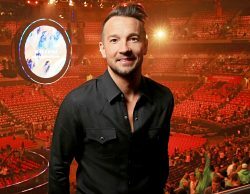 New York Hillsong Pastor Carl Lentz has a good sense of humor, and he means well, but he omits important facts that don’t support his vague, anecdotal evidence about race. I avidly watch the Hillsong Channel and cheer it on. First permit me to tell part of my story. I was saved in the 1970s Jesus Movement, which rescued America from the growing destruction of the drug-addled counter-cultural revolution, and free love (which benefited men, not women), and “peace maaaan!” which was just plain “stupid” (Carl’s favorite word in his chapter on race in his book Own the Moment, see below). I was never part of the drug-and-hippie culture, but I saw the destruction first hand. Moving on, from salvation in the Jesus Movement until now, I have attended churches similar to the one Pastor Carl leads (but without the flashing lights) in the Charismatic Renewal. I have been going to Hillsong LA from February 2018 to now. Now let’s get down to racial matters. The Promise Keepers came around in the 1990s. I was into its message of racial reconciliation. “We need to do this!” But then the movement fizzled out, and everyone went home. Looking back, I’m not clear what the specific and measurable outcomes were. How do we know when racial reconciliation happens and lives on? Maybe hugs (not drugs) and good feelings were and are enough. Now the new generation wants racial reconciliation. Fine, fine. I won’t stand in their way. But will the newer generation—like Carl’s kids—twenty years from now demand the same thing? Is the quest a vague, endless cycle without specific goals and measurable outcomes? Is it designed to make us feel good and all “social justicey,” but accomplishes nothing? Is it designed by leftists to guilt-trip us about the past, when the gospel sets us free? Do millennials have enough historical perspective to see the repeated cycles? Since Carl has an international TV platform, which exceeds his general knowledge about American society, I now feel I must speak out, so maybe I can help Hillsong Channel just a wee bit because they need donations from everyone, not just leftwing millennials. However, I’m not sure Hillsong churches in the US will be motivated to adjust their message to a fuller set of facts, since they are being planted in big, dark-blue cities, like LA, NY, SF, and Boston (Phoenix may be an exception) and dark-blue states like CT and NJ. Why would these leftwing, SJW pastors change? They got their mega-churches now and draw big salaries and enjoy lots of TV fame. Don’t rock the boat! Nonetheless, I trust people will read this post in good faith. Just because I may disagree with Pastor Carl on race does not make me unkind, and it surely does not make me racist. (Leftists don’t get to set the standards, anyway.) If he collected many more facts, and not just from TV images and his personal experiences, and interpreted them wisely, I would say nothing. One area in his brief chapter is sports. Someone in his church stated (accurately) that race relations have improved. Just look at sports! Carl countered that very few (if any) owners are black. True. However, it takes a long time and monumental work and knowledge to become a billionaire, which enables one to buy a sports team (few people of any race can achieve it). And consider this. Just look at the huge universities and their business departments. What percentage of the students is black? At UCLA, only about 4% of the student body is black in the entire university. It is easy to imagine the number is about the same or lower in the business departments. It’s true that’s too low, but I teach part-time at a community college where minorities are the majority (pardon the wordplay). No one can convince me that the business departments around the country are conspiring to block black students from this major by virtue of their being black. Instead, they are eager to accept those of any race who qualify. (See the Black Business School Association at UCLA). It occurs to me just now that maybe Carl believes black people should just be handed part ownership of sports teams. If an owner does this voluntarily out of charity, then that is his free decision. No problem, because I’m a liberty guy. But demanding it violates the free market. Black athletes dominate sports because they are excellent and work hard, not because they are handed their positions without earning them. If meritocracy is good enough for the players, then it is good enough for the business side. Excellence and success and free-market capitalism express America at her best! But professional athletes in all major sports, who are all elite millionaires, number just a few thousand (if that), so the issue is not important in our daily lives. Perspective is needed. Still another area in his anecdote-based, small chapter is Black Lives Matter. He seems to say that it has no problems and encourages his very young daughters to wear shirts with words that support the movement. After all, in his chapter he reassures us that a member of his church leads it. There. That settles it. Not quite. Carl confuses the two. If I see problems in the second statement, then I must hate the first one. Really? No! The first is obviously true, but the second has got some distortions and exaggerations built into it. And who says the leftist leaders of the second statement are the best ones to offer the only way to support the first statement? First, Black Lives Matter was jump-started during the Ferguson news media debacle in 2014, just before the midterm elections (Carl may or may not be aware that survey after survey proves that 90% of high-profile journalists at big media outlets are leftists like himself; they voted for Obama and love to portray America as racist, except the ‘heroic’ left.) However, after an investigation by Obama’s DOJ, Officer Darren Wilson was completely cleared of wrongdoing. Did Carl mention this in any of his tweets or on the stage-platform? (Maybe he did and I just missed them.) So all the destruction and burning of property flowed from a lie (John 10:10). Never mind that cell-phone footage caught protesters who were bussed in from nearby Chicago, paid by leftwing billionaire George Soros, just to stir up Democrats before the midterm elections. It’s one of the radical, leftwing methods: burn, baby, burn! I have no doubt that Carl knows all of this, since he says in his chapter that he educated those who disagreed with him, when they did not know stuff. “I wasn’t aware,” they told him. Now they are. And so is he. The rest of the numbers is filled in by other or unknown groups. But the most important number is the next one. The rest of the numbers is filled in by other or unknown groups. And the rest of the numbers are filled in by other or unknown groups. Now let’s go beyond the publication year of Carl’s book. We don’t know the backstories of the unarmed suspects unless we research them, but not all of them were black, and we can be sure that not all of the police officers were white. And those “unarmed” numbers don’t show violent resistance to arrests, like Michael Brown of Ferguson did in 2014. But when a police officer does break the law, the authorities must investigate all the facts and put the officer on trial. Yes, blacks make up less than 13 percent of America, and the percentage of the fatally shot black suspects is higher than 13 percent, but what are the causes of the disproportion? I’m not qualified to figure out the details, but Carl seems to think racism is built into undefinable things called “power structure” and the “system” (standard, leftwing, vague, buzz words). But do black single-parent households and out-of-wedlock births, which are very high relative to other communities, need to be factored in to the discussion? (See the disproportionate numbers here and here). Now let’s put those fatal shooting totals in perspective. Out of a nation of 328 million, the totals are remarkably low. The unarmed suspects are the tiniest fraction of those 328 million. Are there some problems of race relations between police officers and people? Is one life lost a tragedy? Of course! But proportionality is needed. I see no war here. Finally, he says in his chapter that racism can be and will be eliminated and defies anyone who disagrees with him. If he really believes that, then maybe that’s why he comes across as shrill and hysterical. “I myself am going to preach racism right out of America’s soul!” he seems to believe. But he misreads human nature. And this verse comes to mind: “Human anger does not produce the righteousness that God desires” (Jas. 1:20). He sounds as if he is about to snap. (I hope Hillsong leaders see this too.) But if he does continue with his anger, then I trust he will base it on a fuller set of facts. Better yet, Carl just needs to stay within his lane, and talk about Christian growth and progress and stop being a one-sided, leftwing social critic and SJW. Just preach the Word! In closing, let’s add in the wisdom, which contrasts with what Carl is saying, of former Canadian Prime Minister Brian Mulroney, who said in his eulogy at Pres. George H. W. Bush’s funeral: “… the United States, which is, in my judgment, the greatest democratic republic that God has ever placed on the face of this earth” … (source). Americans love that sort of genuine gratitude from their allies. Do Carl and the Aussie Hillsong leaders have it in them to express the PM’s accurate assessment of this country? Whatever you may think of Paul and Jan Crouch, now deceased, and their style and appearance, they were still genuine super-patriots and therefore tapped into American willingness to give–surely over $1 billion, possibly over $2 billion in the forty-plus years of TBN. Conservatives, particularly Christian conservatives, in red states are much more generous than liberals in blue states. Do the sweetly naive leaders of the HS Channel realize this? Leftwing, millennial social justice warriors definitely don’t have the corner on truth or social justice (or money). So the Hillsong Channel (it may be too late for Hillsong churches planted in big dark-blue cities) needs to keep things politically neutral, or else it will fly right over the majority of Americans and miss out on maximum influence and, yes, maximum dollars. This entry was posted in Biblical Ethics and Policies, Reviews, Short Hot Topics and tagged Carl Lentz, Carl Lentz and Hillsong New York, Carl Lentz misses facts on race, Review of Carl Lentz's Own the Moments by james malcolm. Bookmark the permalink. This is real good! It’s unfortunate that the Church has adopted social issues to gain butts in the seats while neglecting the weightier issues of heaven, hell and salvation. I love your admonition: ‘Just preach the Word.’ This is what I see in many churches: they want to become relevant in the arena of culture while at the same time loosing their grip on the treasures of salvation, restoration, deliverance and spiritual growth. (Grass is greener disease?) Godspeed to you and yours.